Royal Mile Whiskies' annual Whisky Fringe tasting event is now 18 years old and still manages to attract people from all over the world to Edinburgh. Come along to the beautiful Mansfield Traquair (a former church with magnificent murals by Phoebe Anne Traquair) to sample some of the best whiskies around. Over 25 distillers will be on show with more than 250 drams available to taste. We recommend selecting a few that catch your eye in the detailed programme which we will email to you a couple of days prior to the event (make sure you provide us with a valid email address). Alternatively, put yourself in the exhibitor's expert hands and allow them to recommend a dram to suit your own personal tastes. 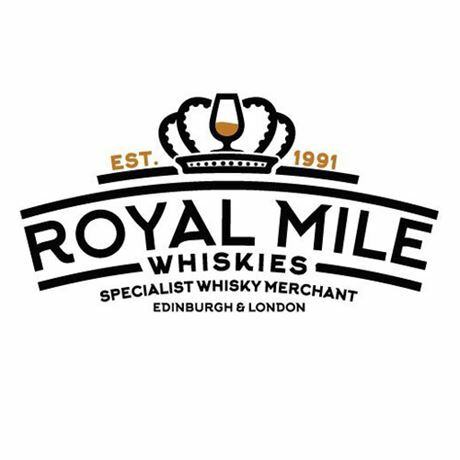 As well as entry to Whisky Fringe, with your ticket you will receive a free snifter glass on the day and a £10 money off voucher to spend at Royal Mile Whiskies on any 70cl bottle over £40 in value. You will also receive a printed programme and a token to exchange for one ‘Half Time Orange’ dram, in which exhibitors bring along something special for you to try, but you can only select one of these mouth-watering temptations). Everyone who attends Whisky Fringe also has the opportunity to enter our Spirit of Whisky Fringe prize draw to win a £100 voucher and four tickets to Whisky Fringe 2019. All you have to do is fill in a (legible!) ballot paper with your choice of the best dram you sampled.